What is Divi and what makes it so great? At its simplest, Divi is a WordPress theme from Elegant Themes – that means, after installation, out of the box it will pretty much give you a lovely clean style for your website, with a variety of layouts and styles, pre-configured, for various styles of site. So far so good and simple..but Divi, particularly Divi 3.0, is so much more! DIVI v. 3.0+ is a VISUAL, DRAG & DROP, WEBSITE BUILDER – a theme that lets you build unlimited responsive WordPress designs/themes (styles if you like) for your self-hosted WordPress websites….all without knowing any HTML/CSS/JQUERY etc! From the latest version 3, it has a front-end, real-time visual editor, with the capability to roll back/restore previous edits. Quite simply – if you’re a Web Designer, it’s a simply SUPERB and INDISPENSABLE tool for building client websites. Even better, to save time, you can export your designs for re-use (in full or in part) as layouts, which can then be used as is, or with a few tweaks of images and colours, as the basis of other designs. 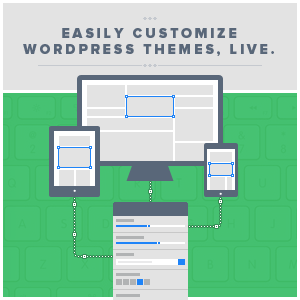 Divi 3.0, recently released is a game changer in the WordPress Theme space. Taking all that’s already fantastic about Divi, and adding a front-end real time visual editor, so you can see (and even roll back!) your edits as you go, makes Divi 3.0, the best WordPress theme, framework or theme builder (depending how you look at it!) stratospherically great! Of course, adding all these great extra features may make Divi a little more difficult to learn, at least initially, or adjust to if you’re used to the earlier Divi versions – which is where the Divi 3.0 Course comes in! We’ll be here to make sure you hit the ground running with this new version of the world’s most fantastically flexible WordPress theme, and help you iron out any early days sense of dis-orientation too! This video looks at the Divi 3.0 Visual Editor – seeing is believing! The 2nd video looks at the Divi 3.0 customisable interface and ‘invisible’ interface. Seeing is believing! This Divi 3.0 preview video looks at Divi’s stunning ‘rewind/undo/redo’ feature, which is groundbreaking, enabling you to try out different designs, change up fonts, colours, images,, go back and forth easily to see which you prefer, restore revisions etc, and see the results right before your eyes all in the front end – no more switching back and forth between layout and design mode via previews. This will make creating even more beautiful designs, and sitting down beside your clients, making changes in real-time if you so wish, incredibly easy. Love it, love it, love it! Up to 20x Faster Hosting for Divi, with WordPress installed! 1. InMotion offer dedicated WordPress support and installation, so you won’t even have to install WordPress, you’ll be ready to go as soon as you install Divi! 2. InMotion offer free SSD (Solid State Drives) on their shared wordpress hosting packages, resulting in a much faster hosting experience! With some of the best value shared WordPress hosting prices in the industry, and solid, friendly in-person support, we think it’s a smart move. Why not try it out?